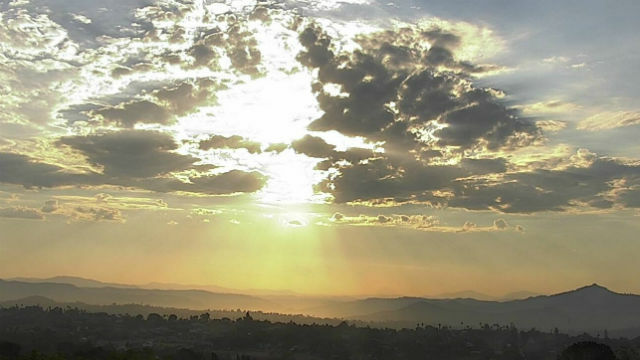 A stifling heat wave that has gripped the San Diego area since last weekend kept the county cooking once again Thursday, setting a few new temperature records in the process. The sultry conditions are expected to last at least into early next week, as the responsible atmospheric system has become essentially stationary over the western United States, according to the National Weather Service. The stubbornly torrid end to August has prompted meteorologists to extend an excessive-heat warning twice this week. Initially set to be in effect until Wednesday, the expiration was pushed back to Friday, then to Saturday night. That warning covers most of the county except for the mountains and beaches, where a less serious heat advisory is in effect for the same period. Amid such torrid conditions, people who work outdoors or have no access to air conditioning can fall victim to heat-related illness, some of them serious enough to require hospitalization and possibly lead to death, the NWS advised. Authorities also reminded residents to never leave children, seniors or pets unattended in cars; to drink more water than usual while avoiding alcohol, sugar and caffeine; to wear light-colored clothing and wide-brimmed hats outdoors; and to take frequent rest breaks in shaded or air-conditioned environments.